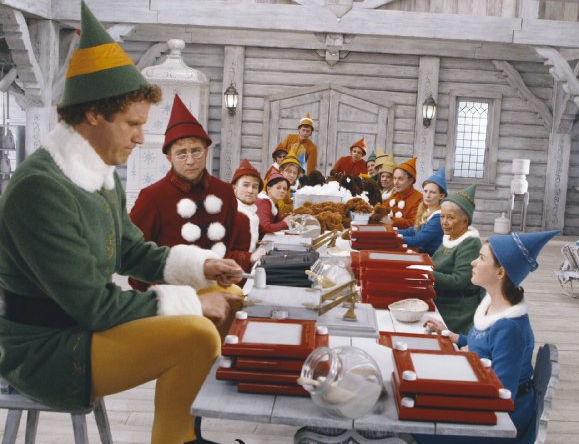 Of course with any Christmas movie involving elves, you will have an abundance of elf ears. Plus, you have puppeteers and animatronics. 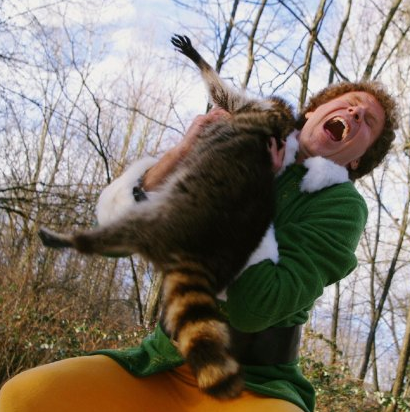 Even the racoon was the product of a prosthetic shop. Interesting tidbit, the stop motion is listed under special fx. And the stop motion portion of the movie was done by Chiodo Brothers, who has done stop motion work for others like the Simpsons and Disney. I am always interested in who did the makeup & special fx makeup on movies, so I thought others might be too. Here is a list, from IMDB, of makeup/special fx artist whose work made Elf so darn fun.